It is all about the letter U this sunny spring day. Fill your letters with flowers and butterflies. Do you know the spring words that starts with this letter? 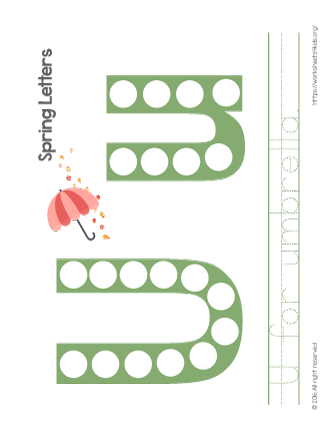 U is for … umbrella! Look around and find more words that start with this letter. Practice writing skills and trace the sentence underneath the letters U.